FORT SILL, Oklahoma (Jan. 17, 2019) -- Soldiers assigned to the Air and Missile Defense Capabilities Cross-Functional Team received the new shoulder patch of its higher headquarters, the Army Futures Command, at a re-patching ceremony held inside the Air Defense Artillery Museum Jan. 9. Eight Soldiers standing in front of a Stinger Avenger vehicle removed the old Velcro patches of Department of the Army Headquarters from their left sleeves. They then accepted their new patches in a handshake with team director Brig. Gen. Randall McIntire, who affixed the new patches to the Soldiers' sleeves. One by one, they saluted each other. "The Air Missile Defense Cross-Functional Team is just over one year old, and we have enough personnel now to field a football team," McIntire told those assembled for the ritual. 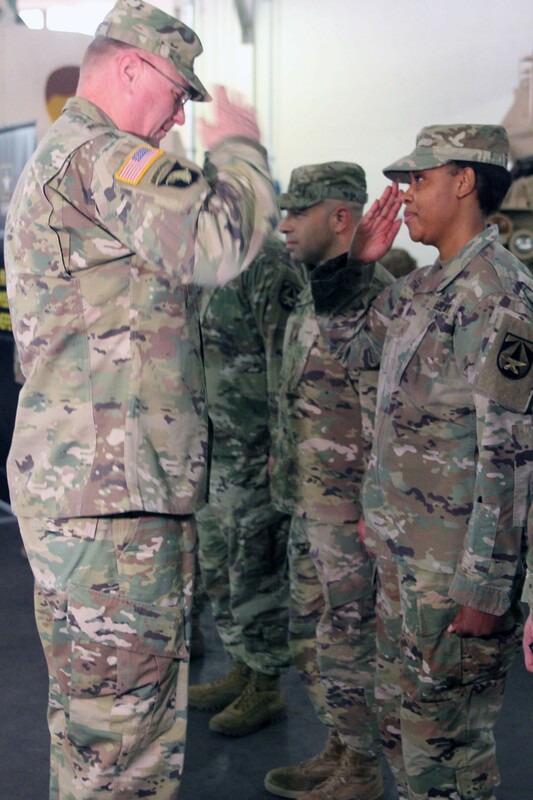 "We started off as a basketball team about a year ago, but we are growing every day and we hope to be about 30 by this summer, both (Department of the Army) civilians and soldiers," he said. "It's an honor to bring in the new year by formally conducting our re-patching ceremony and donning our new Army Futures Command patch." 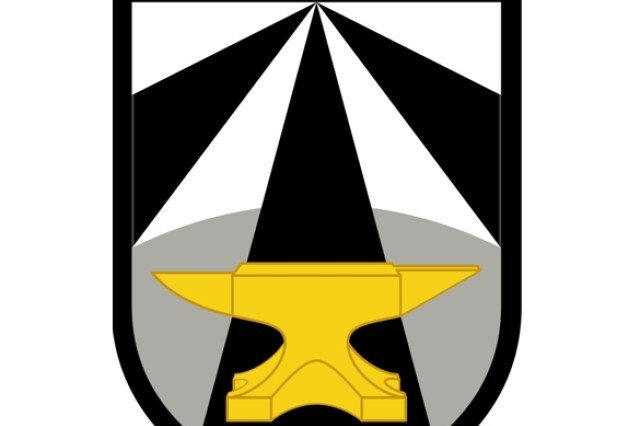 In a doff of the hat to former Gen. Dwight D. Eisenhower's personal coat of arms that contained a blue anvil, the main symbol of the patch is a golden anvil. The anvil is meant to represent fortitude, determination and perseverance. The black and white stripes on the patch merge to point to the future. 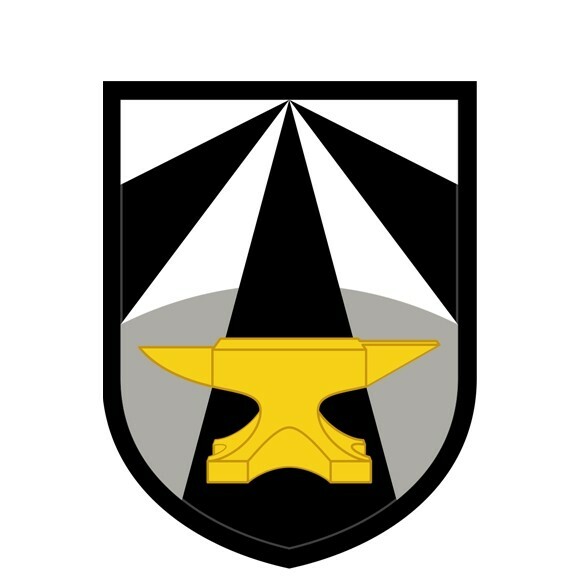 The black, white and gold resemble the colors of the U.S. Army and are representative of the command's most recent move toward full operational capability. McIntire called the patch a symbol of unity within the command: "We no longer report to four separate units. We've got one four-star commander that we report to, whose sole focus is to modernize our Army." The new patch "proudly and boldly (proclaims) we are part of a 'Forge the Future' Team that is truly forging the future of not only our air and missile defenses, but forging the modernization and future of our Army and Armed Forces," McIntire said. "Today is a historic day for the Air and Missile Defense Cross-Functional Team as we start another chapter in what will undoubtedly be a rich heritage," he said, adding that he is "proud and amazed at the monumental tasks team members have accomplished in just one year. Other Army commands focus on their readiness to "fight tonight" when called upon by the nation. In contrast, the Army Futures Command is focused on readiness for future combat with near-peer competitors, who have updated their capabilities while the U.S. military has been fighting insurgents since 2001. Army Chief of Staff Gen. Mark A. Milley has identified six modernization priorities for the Army, and eight cross-functional teams have been established to address the need for giving the future Army a competitive edge. 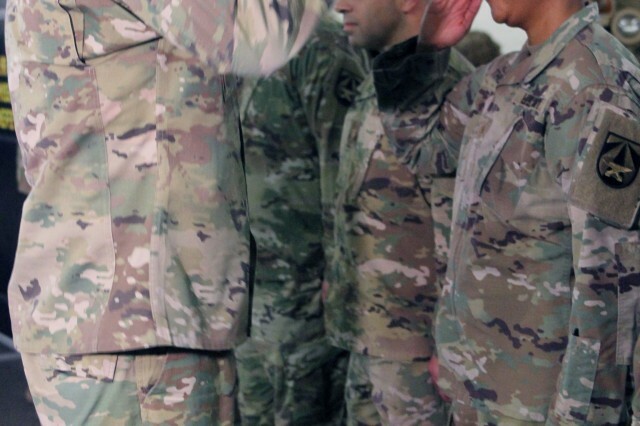 Fort Sill is home to two cross-functional teams, the other being the Long-Range Precision Fires Cross-Functional Team led by Col. John Rafferty. McIntire said after the ceremony that when it comes to ADA, "we deal with the wide range of air threats, from fixed-wing, rotary-wing aircraft to the ballistic missiles." As for how long his team will be based at Fort Sill, McIntire said, "I think we're here for many, many years to come We're just getting started. We know the future's bright. I think we're going to be here for a while." The Air and Missile Defense Cross-Functional Team is working with both industry and academia to make sure they find the best ideas and find out what commercial, off-the-shelf technologies have to offer. "We're doing business a little bit differently than we have in the past," McIntire said.